Easily embroider labels for multiple projects. 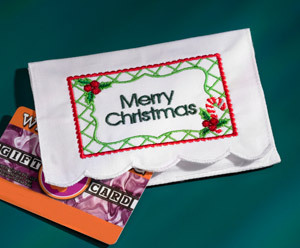 Embroidery labeling software that works with today's most popular brands of embroidery machines. 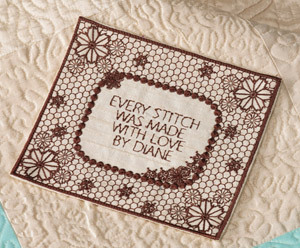 Each quilt, garment or gift that you make is a labor of love - why not add a label that's just as unique? With Quilt LabelWorks from Designer's Gallery, you can create multi-line labels with frames of every style, using the only software dedicated to embroidered labels. Create labels and personalized projects using hundreds of font and frame combinations, with the ability to let your options grow. Add your style and a touch of love to every label with LabelWorks.